I remember decorating the children’s nursery and then again re-decorating as they got older. I wanted to make sure each room was a place my children love to be. As they get older, they are wanting to put their own stamp on each room. Moving things around and changing up items. Replacing pictures was pain as it left holes in the walls, I wish had had chosen wall decals like the “Lovable Labels Wall Art”. The “Lovable Labels Wall Art” are adorable decals that add an element of whimsy to your walls. You can customize them with your name. They are high quality decals that are easily applied to any flat surface. Simply peel and stick them to any wall and if you don’t like where you’ve placed them, peel them off and stick them somewhere else! 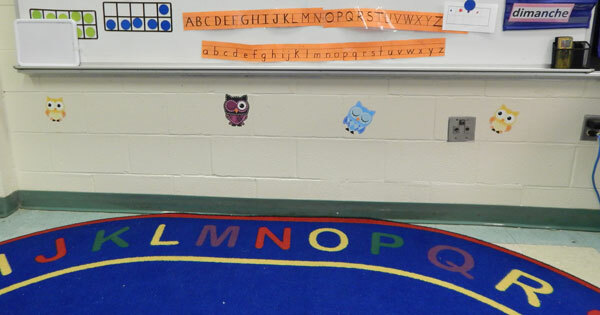 As soon as I saw the decals I knew they’d be perfect for my son’s classroom. What kid wouldn’t light up when welcomed by a cute little owl at the door? 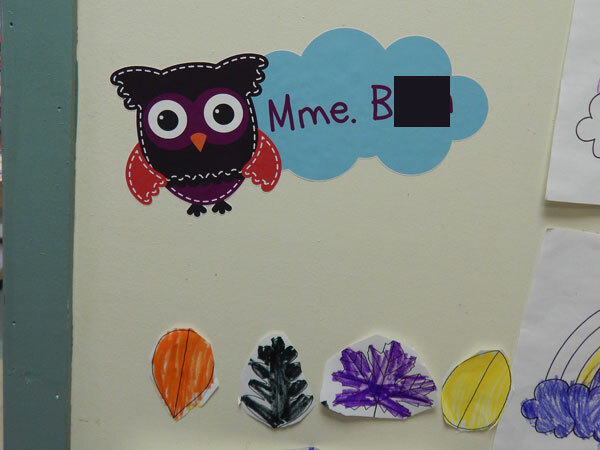 The pack we chose was “Be Owlsome” it contains 1 personalized label and 31 miscellaneous ones. They fit perfectly in the classroom setting and would look absolutely adorable in a bedroom or toy room. 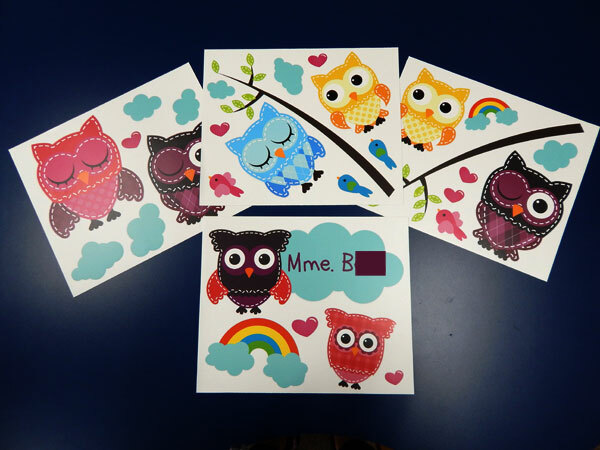 The decals come in four different designs – “Fly Away”, “Be Owlsome”, “Under Construction” and “A Princess Lives Here”. Visit the “Lovable Labels” website to see the other designs. Enter to WIN your own Wall Art from Lovable Labels! Giveaway is open to US and Canadian residents and closes October 27, 2016 4:00AM. Void where prohibited by law. *Disclaimer: I am part of Lovable Labels Love Bug Program. All opinions are my own. 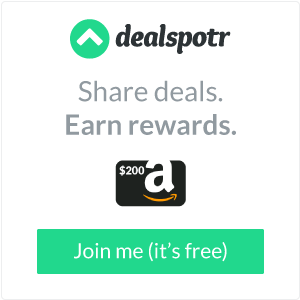 « Celebrate Halloween + earn Double Cash Back when you shop at your favorite stores! My daughter would LOVE to have the princess lives here set! I like the Owlsome set because my granddaughter’s favorite animal is the owl so this would be perfect for her!! I am in love with the Be Owlsome! I like the Be Owlsome set. I like the Owlsome Set. My favorite is the A Princess Lives Here Wall Art. I have 7 girls so the Princess lives here is my favorite! I like a princess lives here or the owls. my favorite is A Princess Lives Here decals!! I love the “Fly Away” set. Super cute! kristiedonelson(at)gmail(dot)com Thank you. I like A Princess Lives Here set. Under Construction is pretty cute. I would probably donate this set to a classroom. I like A Princess Lives Here wall art. Thanks. The owls are my favorite! My favorite set is the Be owlsome.Too cute. We love love love owls. I love the princesses and the owls! They’re so cute!